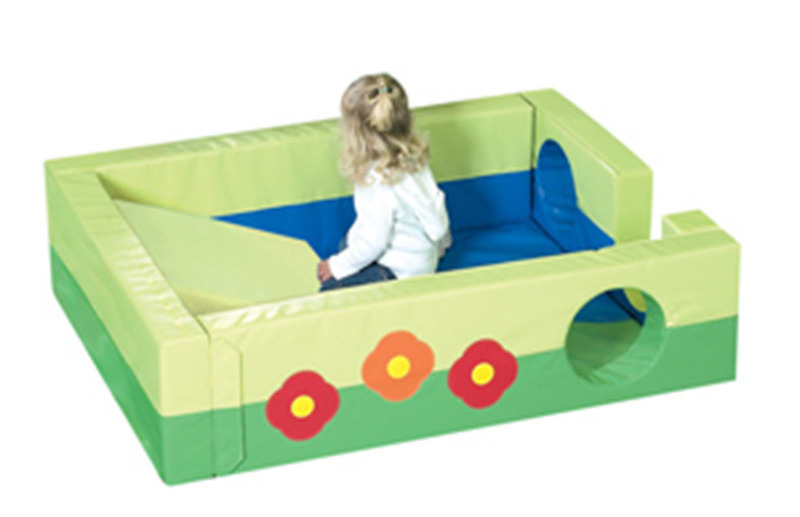 * Little ones, ages 6 months through 2 years old, will enjoy strolling and romping through. * Take an easy step into the Lily Pad Meadow (B) using the 9" wide cutout walk-thru wall. * The Meadow 44.5" x 32" and has a 1" thick appliqued pond and grass colored mat, and two 9" diameter circular peek-a-boo holes in the Meadow walls! * ( light green ramp not included )when Meadow is sold separately) ) Floor space for unit 52.5" wide x 40" long. * Mde of 14 oz nylon reinforced vinyl.